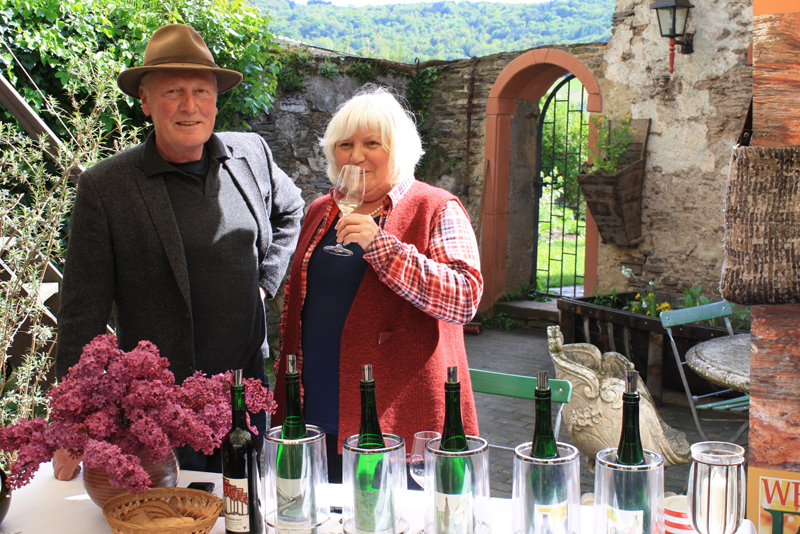 Earlier this year, I had the opportunity to visit a few biodynamic wine producers in the Mosel region in Germany and later on also had the privilege to taste biodynamic wines from some top producers while I was in France. The same word that I heard over and over again from these producers was “vitality”. They believe that their vineyards are full of life and their wines show abundant vitality. This is a very intriguing concept, and as I now understand, is in fact the essence of biodynamic viticulture. Modern growers are lucky to have at least three forms of viticulture: conventional, organic and more recently, biodynamics. William Bincoletto, a Canadian wine expert that I recently met gave a very good analogy for the three different farming practices. He said, “conventional farming is like when you have a headache and you take painkillers such as Paracetamol straightaway. While organic farming means that you only look for natural painkillers (i.e. coffee can be one) rather than synthetic drugs. As for biodynamics, you don’t take anything but try to find out what causes the headache.” From his explanation, biodynamics is somewhat similar to the principles behind Chinese medicine; it is not looking for immediate healing, but finding out why one is unwell and seeks to build up one’s health by resting and taking nourishing food. But biodynamics is more than that. Though it is quite an alternative form of viticulture, it has been slowly gaining media attention as well as popularity amongst the growers, especially when top producers such as Domaine Leroy, Domaine Leflaive etc. are firm followers and more recently, one of the world’s most prestige wine estates, Domaine de la Romanée-Conti (DRC), also follows suite. Those who used to sneer at biodynamic producers and dubbed them “Harry Potter growing grapes” probably had no choice but to re-think what biodynamics is all about. Biodynamic approaches were first proposed by an Austrian philosopher, Rudolf Steiner in 1924. At the time, he was already very famous for his view on Anthroposophy, which is a spiritual science, seeking to nurture the life of the soul in the individual and in human society. The concept has been widely applied in medicine as well as in children’s education (i.e. Steiner or Waldorf School). Its application in agriculture is then biodynamic farming. Asked by a group of farmers who were very concerned with the poor health of the soil, plants and animals and sought out advices from Steiner, he then gave a series of lectures called “Spiritual Foundations for the Renewal of Agriculture”, which formed the principles of biodynamics. He believed the energy of plants could be affected by human actions, the weather and by the forces of the moon, stars and planets. As a result, decisions about when to sow and prune should be made following patterns of lunar and cosmic rhythms. However, he died the following year. Based on his lectures, his followers started to develop the practical implications that could be applied in agriculture. One of the most authoritative figures was a German gardener called Maria Thun, who devoted all her life in researching and experimenting the biodynamic approaches on her farm. She discovered that when the moon passes through the signs of the zodiac it has positive influences on different organs of the plant. This formed the foundation of her “Biodynamic Sowing and Planting Calendar” which has been published annually for the last 50 years. In 2010, she made an annual biodynamic calendar available for wine drinkers called “When Wine Tastes Best”. This calendar gives the most favourable days for drinking wine based on the research done on her farm. For some years, Tesco, Marks & Spencer as well as a few other UK wine merchants have a policy for holding wine tastings only on optimal days that the calendar suggests. There is now even an iPhone app for wine lovers to download! Biodynamic producers see their vineyards as one organism, so everything has to be self-sufficient rather than relying on conventional chemicals such as herbicides, fungicides and fertilizers etc. (Though the only chemical that is permitted for both organic and biodynamic viticulture is copper sulphate which is for controlling fungal disease.) There are nine special preparations, which can be applied to the compost, soil and plants, normally in tiny quantities. Though it might sound rather unusual, but the theory behind is that they are from the three main elements of the nature: animals (the use of cow manure, which is applied to the soil), plants (the use of chamomile, dandelion and so on, which is for composting), and minerals (utilization of silica, which is sprayed on the plant). Nicolas Joly of Coulée de Serrant from the Loire region in France is famous for being an affectionate advocate for biodynamic viticulture. I had the opportunity to be in one of his seminars recently and his explanation about biodynamic preparations could be helpful. He mentioned that in the past, there was no place for biodynamic approaches as the nature was in a good balance. Plants were able to receive the life forces and energy properly. But in the modern world, with all the applications of chemicals and the abuse of the environment, the whole nature is in an unbalanced condition. It’s a bit like when you are in a quiet field, he explained, the voice from one person to the other can be heard easily, but in a noisy environment, you will have to rely on devises such as telephones to transmit the voice frequency accurately. According to his view, biodynamic preparations serve as the devise that connects the nature and the plant. The analogy might be far from perfect, yet it does provide an insight to which we can see the biodynamic preparations in a different way. He also mentioned that we should treat viticulture as an art, through the art, we can rediscover the vitality of the nature. To this point, I still can’t say that I understand biodynamics completely, but seeing how healthy and alive those producers’ vineyards are and how much more flavours their wines taste, I have full respect for those of them who dedicate 100% to look after their vineyards in the most natural way without the use of chemicals. After all, a sustainable way is a good way! 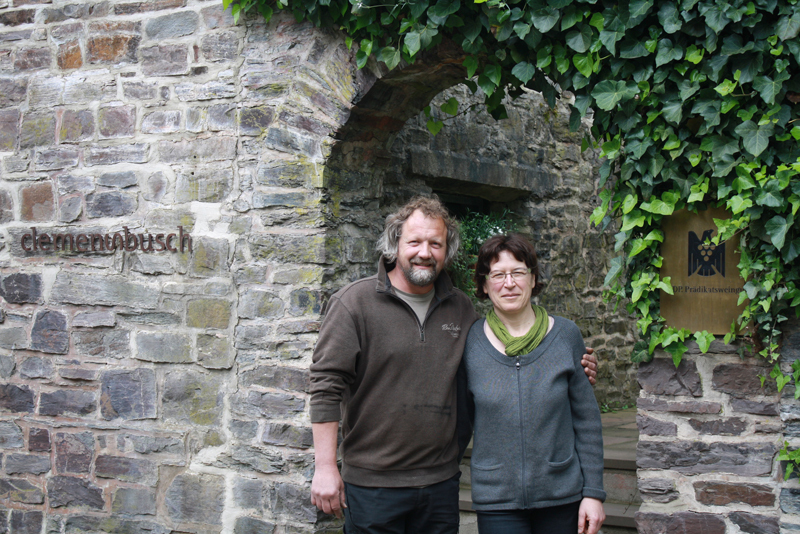 Below are the profiles of two biodynamic producers from Mosel, Germany that impressed me the most. Rudolf Trossen became a biodynamic producer since 1978. He believes a lot of the misunderstanding about biodynamics can be easily resolved by looking back to Rudolf Steiner’s original lectures on this subject. He has very in-depth knowledge about biodynamics and he firmly believes in hands-on approaches rather than relying on machines. I found talking to him extremely inspirational. His Riesling Schieferstern Purus 2011, along with many other wines, has been on the wine list of Noma in Denmark, which was voted the world’s best restaurant in 2010, 2011 and 2012. This wine is not only biodynamics but also made by using natural wine approaches, without any additives and is unfiltered. Golden in colour, pure ripe peach and citrus aromas with hint of mineral. A Riesling without any “makeup” and is still tremendously beautiful. Very elegant with lingering finish. His Schieferstern Purus 2012 and Pyramide Purus 2012 are also exquisite. 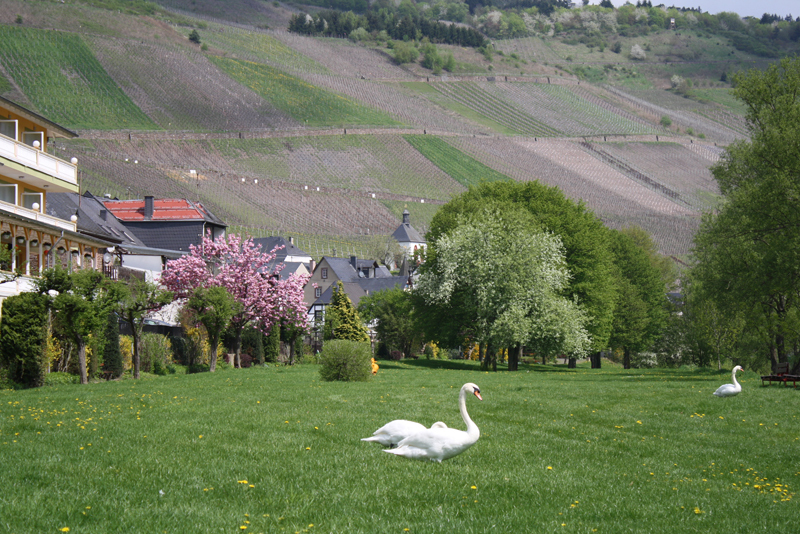 Clemens Busch is one of the 202 VDP wine estates in Germany, which is a group of top elite producers. He has been an organic producer for 30 years and started biodynamic practices a few years ago. Unlike typical Mosel Rieslings, which tend to be light and delicate, most of his wines have strong characters; even young wines can express the flavours of mature Rieslings. Asking why the style is so different, Clemens simply said that he just let the grapes show the true self and the result is self-evident. I am especially impressed by his 2011 Marienburg GG which has undergone prolonged maceration and fermentation, the aroma is reminiscent of ripe juicy apples, white blossoms and mineral. Round and creamy on the palate with long finish. 2011 Marienburg “Falsterrasse” is very elegant on the nose, delicate honeysuckle and steely but very complex and concentrated on the palate. Originally from Taiwan, Leona moved to the UK in 2005. She started her career as a PR professional, helping brands (spirits, travel, food etc) to create stories that would interest journalists. She also worked for Sopexa Taiwan as Project Manager, managing wine projects and media relations; it was then she started to be fascinated by the world of French wine and wishing to explore every single detail about wine making and vine growing. 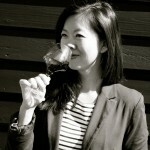 Leona began her wine writing and translating career when she moved to the UK, firstly with Decanter Magazine (Chinese Edition in Taiwan) and is currently UK & Europe Correspondent for the most influential wine and spirits magazine (Wine & Spirits Digest) in Taiwan. She has travelled extensively to vineyards in Europe and you will almost always find her in major International Wine Exhibitions “grilling” producers.